Robotics and Artificial Intelligence (AI) are playing an increasing role in manufacturing. The acceleration of this trend has simplified processes across various sectors such as automobiles and consumer goods. Manual labour is increasingly being replaced by robotics and advanced AI systems that are not only time efficient but also cost effective. In the future, the levels of automation are likely to increase further, thereby reducing process turnaround times and improving the quality of end products. Increased automation also allows for better monitoring and regulation of processes in the sector. Various kinds of robots are being employed by industrial giants around the world. These include automated robotic arms, technology driven independent robots, as well as robotic processes. The use of advanced robotics has meant that real-time reporting mechanisms are being developed in manufacturing. This enables optimal inventory levels, the use of advanced analytics, as well as creation of a single digital platform across factories that can be used to control processes and optimise them. Robotics has become a billion dollar industry in itself and is driving change in automotive manufacturing companies around the world such as Volkswagen, Ford, and General Motors. In addition, robotics can cut the complexities of managing factories and reduce labour costs for firms. 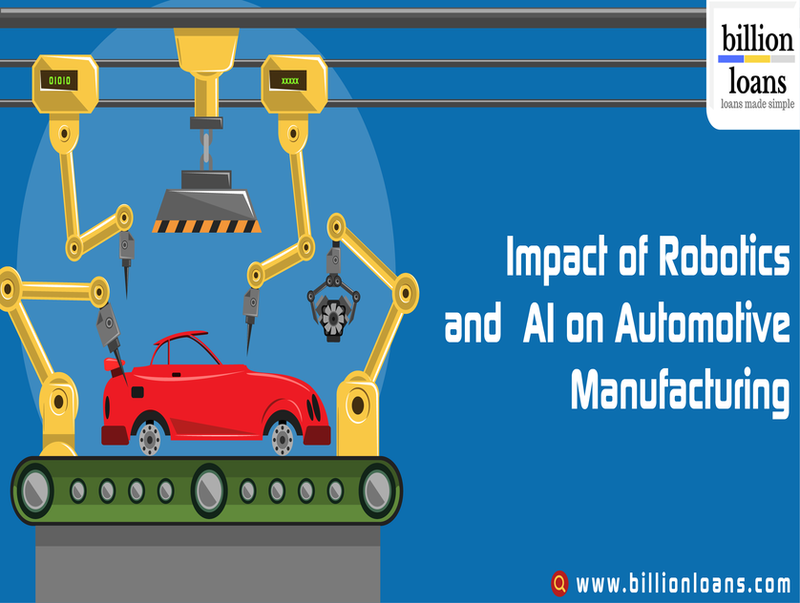 Automotive manufacturing in India too has started to rapidly adopt robotic manufacturing. The Hyundai plant in Sriperumbudur near Chennai uses close to 600 robots and its defect ratio has dropped from 5% to 2%. Similarly, other manufacturers like Honda and Maruti Suzuki have adopted robotic manufacturing. Honda’s two wheeler plant at Narsapura near Bangalore is fully automated. Previously manual tasks like welding are now being performed by robots allowing for more complex work to be done with greater accuracy and lower cost. AI systems such as machine learning and deep learning are also having a powerful impact on different sections of the manufacturing process. For instance, McKinsey estimates that using machine learning for planning preventive maintenance in automotive manufacturing can increase equipment uptime by almost 20% and reduce annual maintenance costs by around 10%. For instance, algorithms can detect and analyse vibration data, detect variations and separate potential problems from expected vibration levels and schedule equipment for maintenance. AI is also increasingly being used to improve quality control by using algorithms that detect faulty products at a nascent stage of production. Improved quality control can also have a cascading effect in terms of reduced costs at every stage of the manufacturing process. Finally, AI combined with big data techniques can also help in analysing consumer preferences and changing trends to develop new products. It is evident that robotics and AI are the present and the future of the automotive industry. Increased automation levels can help companies in cutting down their inefficiencies and improving financial performance. In addition, executive leadership of firms can monitor and regulate processes easily. This automation revolution will continue to provide velocity to the automotive sector in the future.